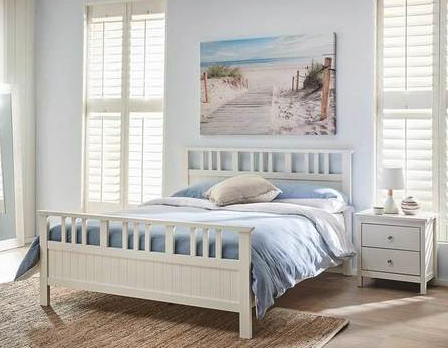 The Hayman bedroom range features a simple, stylish design, finished in crisp white which will suit both contemporary and more traditional bedrooms. 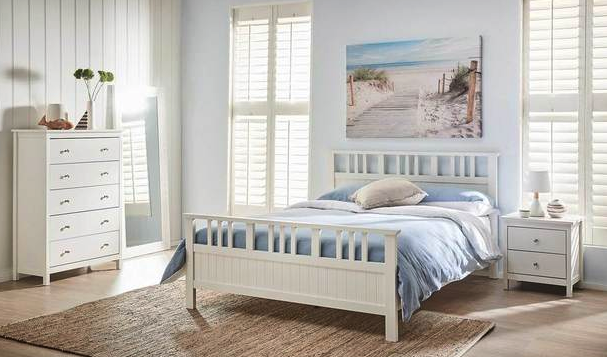 A bedside and tallboy with generously sized drawers offers plenty of storage, so it’s easy to hide away bedroom clutter. 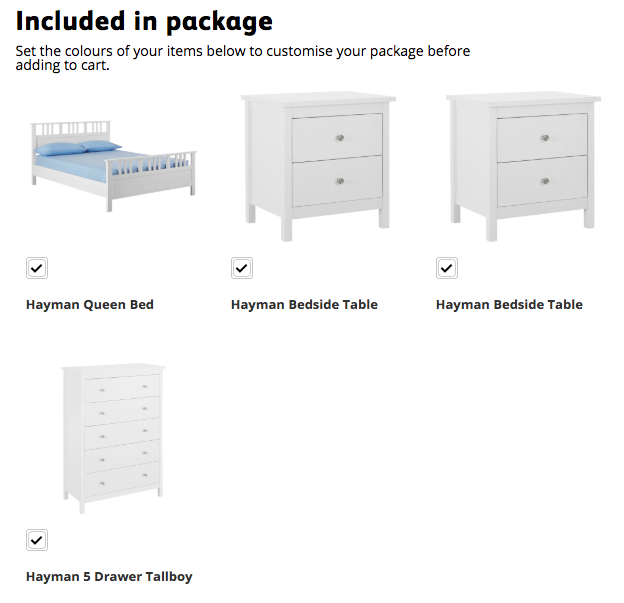 Accessories and mattress not included.